THIS ISSUE’S TESTIMONIAL: I feel Really REALLY good! This month I present you at www.themagicisbac.com with an update of ongoing research at a Quebec dairy farm. This project is critical in duplicating and proving in North America the extraordinary results obtained in Russia on a much larger study with 15,000 dairy cows. You will find next in Alain Forget’s own words Part II (Part I was reported already 6 months ago), the results so far after 12 months of trial with Bio-Algae Concentrates. This project’s reporting and statistics are mandated and regulated by a branch of Agriculture Canada. Alain Forget has a large dairy cow’s farm in Laval, Quebec. His farm is one of the highest milk quality in Canada. Alain accepted to trial BAC on his farm in January of 2006. This trial is ongoing preliminary step towards a formal presentation of the results to the Canadian Agricultural agency. Note: All statistics collected at the farm and presented in this report are mandated and regulated by the Canadian agency. Find next in Alain Forget’s own words the summary of results after the twelve months of study. Future updates will be presented as they become available. “Its now been 12 months that our farm adds the Bio-Algae Concentrates to the daily feed of our Holstein herd. The results of 12 months show the following augmentations; 400kg in milk, 5% in MCR, 4% in fat and 2% in protein. The trends observed after the first months are now firm and absolute numbers. For uncontrollable reasons we had stopped using BAC during December 2006. We noted a rise in somatic cells count (SCC) from 50,000 to 367,000, and then immediately after resuming the use of BAC, the SCC dropped by 200,000. Because of this stoppage in the use of BAC in December, our SCC which was running at 84,000 yearly average after the first six months trial has now passed to 95,500 which is still an excellent SCC when compared to the state average of 285,000. The stoppage in December alone made the SCC avg rise by 20,000 over the expected annual SCC. Removing the use of BAC for one month has demonstrated clearly the positive effects of BAC on the quantitative quality of the utter. Additionally, when not using BAC as in December, we noted a significant increase in the cow’s nervosity, and resulting difficulty when milking them. All feed parameters are measured monthly for the urea test. These urea tests are generally stables varying from 10.4mg to 12.5mg, which is expected since feeding is generally stable and not changed for the duration of this study. So its stands that the augmentation of the milk quality and volume are of physiological nature. We observe that the use of BAC appears to benefit many of the cow’s metabolisms which in turn results in higher milk quality, a rise in productivity, and a diminution of the cow’s nervosity during milking. There is also less stimulation required for a fuller emptying of the utter. We observed a notable decrease in the health of the teet when not using BAC. This same stoppage period resulted in an augmentation of the SCC to 95,500 average, accounted for by a rise of 25,000 SCC/ml during this period. We will continue the study with BAC while comparing the results keeping into account that the average age of the herd has risen by two months during the year. 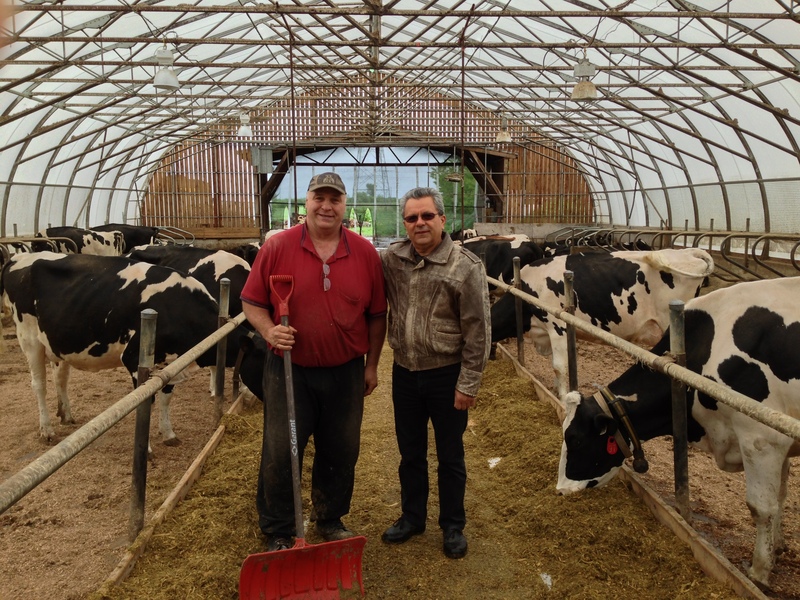 Dr. Michael Kiriac and Alain Forget – These cows consume two capsules per day and derive extraordinary results. Imagine what a few capsules will do for you. Introduce Bio-Algae Concentrates (BAC) in your life, as a great shortcut to brain health, as an aid in restoring cellular health, endocrine health, energetic coherence, and sexual health.